You may feel discouraged after purchasing shampoos that claim to stop dandruff, but do nothing to help your condition. It is important to read the labels and be aware of the ingredients that help remove flakes. There are three common scalp conditions that cause dandruff. Here are the ingredients you need to look for based on your scalp condition when purchasing hair products. You will not see flakes on your clothes when you wear black if you have mild dandruff. Look for ingredients like peppermint and tea tree oil because they help the scalp feel cool and clean. Glycerin is another essential ingredient. It will help the scalp stay moisturized without adding buildup which is important when using shampoos for dandruff or itchy scalp. 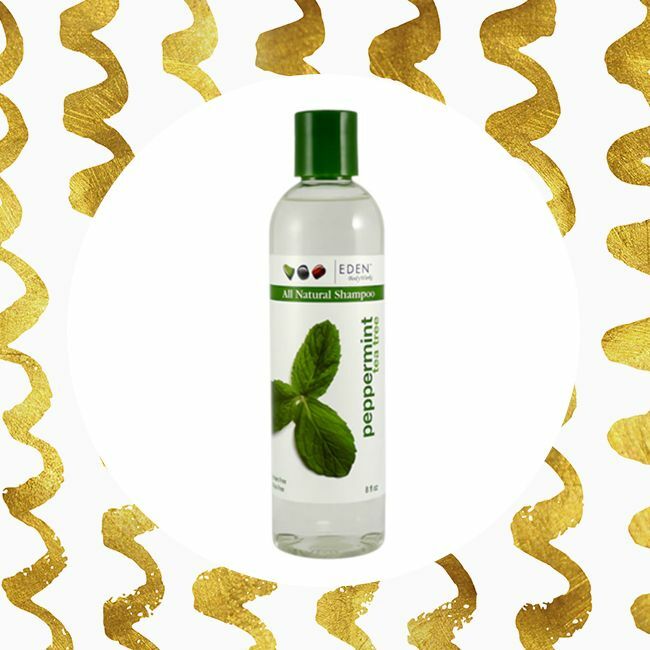 Eden Bodyworks Peppermint Tea Tree Shampoo is a great option. The most common areas on the scalp affected by seborrheic dermatitis is the hairline and the nape area. The flakes are oily, and yellow, or white in color. The cause of seborrheic dermatitis is still being researched. Stress, hormones, yeast that live on our bodies, and genetics are some triggers of seborrheic dermatitis. Shampoos such as DHS Zinc Shampoo, with 2% zinc pyrithione helps reduce the growth of fungus. Fungus is responsible for the flakes seen with seborrheic dermatitis. Kiehl's Scalp Purifying Dandruff Shampoo, has a combination of zinc pyrithione, and salicylic acid. Salicylic acid exfoliates the scalp removing buildup. You can use the Kiehl's Scalp Purifying Dandruff Shampoo for hard to remove dandruff. 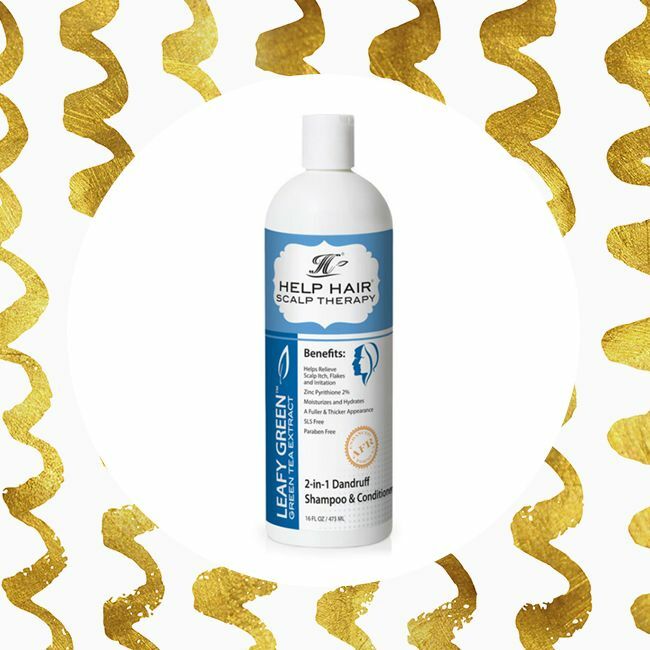 If you are looking for a 2% zinc shampoo that is sulfate, and paraben free, try Help Hair Scalp Therapy 2 in 1 Dandruff Shampoo. How often can you use a dandruff shampoo? You want to use dandruff shampoos on a weekly basis. Dandruff shampoos can make your hair feel dry. To avoid dryness, alternate using a regular shampoo one week and a zinc shampoo the following week. Is there a special way to use dandruff shampoos? You can put the shampoo in a color applicator bottle and that will help you apply the dandruff shampoo directly to the scalp, not the hair. Once the shampoo is on the scalp, allow it to sit on for two to five minutes allowing the active ingredients to work. Then, rinse the shampoo and apply it a second time without letting sit on the scalp. Rinse again and proceed to condition. If you are still having issues removing your flakes, try a scale softener. Scale softeners are creams that can be applied to your scalp before you shampoo to help remove, and break down scales. Phillip Kingsley Exfoliating Scalp Mask has a creamy texture, that helps to gently remove build up, and soothe the scalp. Apply the mask directly to your scalp, and let it sit for ten minutes. Rinse out the product, and proceed to a dandruff shampoo of your choice. There is no need to oil or grease your scalp in an effort to alleviate dryness or itching. Petroleum and oil based products make seborrheic dermatitis worse, and cause flakes to stick together making them harder to remove. Psoriasis of the scalp can show up as red, raised scaly patches. This disorder is caused by rapid skin cell turnover, which causes the scales to stick on top of each other forming a hard patch. Look for salicylic acid, and coal tar in products for psoriasis. MG 217 PSORIASIS shampoo or Neutrogena T/Gel has 3% coal tar which helps reduce inflammation, cell turnover and scaling. Other ingredients to look for in dandruff shampoos include Ketoconazole. Ketoconazole kills yeast, and fungus that triggers dandruff. This ingredient can be found in Nizoral shampoo. It is important that you cleanse your scalp with shampoo, instead of a co-washing product. Removing build up, and flakes is vital in creating a healthy environment on your scalp for hair to grow. Co-washing works well for hair, but for the scalp, it will only make the dandruff worse. Are you struggling finding the right products to treat your dandruff? Share with us below.